There are several ways to buy airtime in Nigeria. You can buy from a recharge card vendor, mobile phone, online or using the ATM. A lot of things have changed in the telecommunications industry in Nigeria. Each day, they strive to make their services more accessible to all and sundry. Buying airtime has become very easy. With so many options that one wonders which one to choose. However some people are still unaware of these amazing features. And that is the essence of this post. To remind and inform you of the various ways you can use to recharge your phone. This article would be very helpful for you. I have tried to keep it short and to the point. You will be surprised at what you have learnt after reading this post. 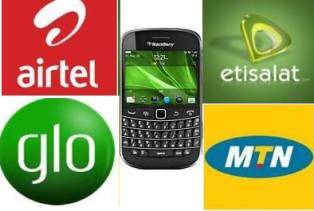 Our giant mobile telecoms (MTN, Airtel, Glo & Etisalat) are working very hard to give us the best service. This is the earliest method of buying credit in Nigeria. It involves the use of printed slip with auto-generated pin and serial number. You can buy the card from any mobile recharge vendor around your area. Although this method is being used by many Nigerians, it is not an ideal method because a recharge card vendor may not have all the cards for the various Nigerian networks. At some remote locations in Nigeria, you may find it very difficult to see any store selling recharge card. Occasionally, when you do find, the vendor may not have the network you are looking for. Cashless transactions are being done everyday online and airtime is not excluded from this service. You can transfer money, buy Airtime and do many other things online. There are several ways to buy airtime online. One of the ways is using Mobile banking app from your bank. If you don’t have mobile banking app, you can download it by contacting your bank or visiting Google Play store. You can also buy airtime using Quickteller App. Nowadays ATM is not only used to withdraw and transfer money, but also to buy airtime. It is fast and secure. It only requires your atm card and some money in your bank account, depending on the amount you want to buy. To buy airtime from the ATM, simply insert your card in the card reader and enter your 4 digit password. Then select Quickteller and follow every other instruction. Wikihow has full article on how to use ATM . Bottom Line: Each of the methods is good. However I recommend buying online or using mobile phone if you are looking for a fast and secure means.